At DMT Property Maintenance we understand that snow and ice management is an important job that shouldn’t be taken lightly. You don’t just need someone to clear your parking lot and walkways of frozen water, you need a team that you can rely on - a team who treats your property with great care to prevent damage while ensuring fast, unbeatable service. 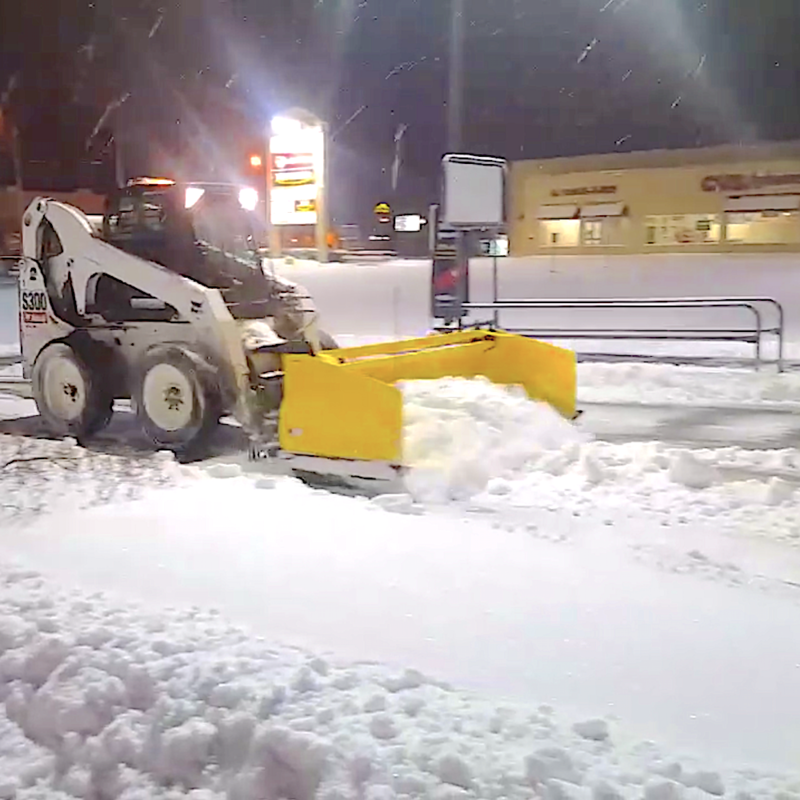 For Kenosha commercial snow and ice removal, choose DMT Property Maintenance with confidence. We are available all day every day and will come with just one call. Dial 262-939-9368 for Kenosha, WI business snow and ice removal, or simply to get more information about our services and experience. With over 20 years of experience, we are proud to say that we have never missed an open-up. Of course, that’s the DMT Property Maintenance standard. We always hire fantastic employees and use the best techniques and tools for the job. Being available whenever we’re needed is a DMT Property Maintenance specialty. We never subcontract our jobs. Instead, we retain quality teams who are ready 24 hours a day, 7 days a week. 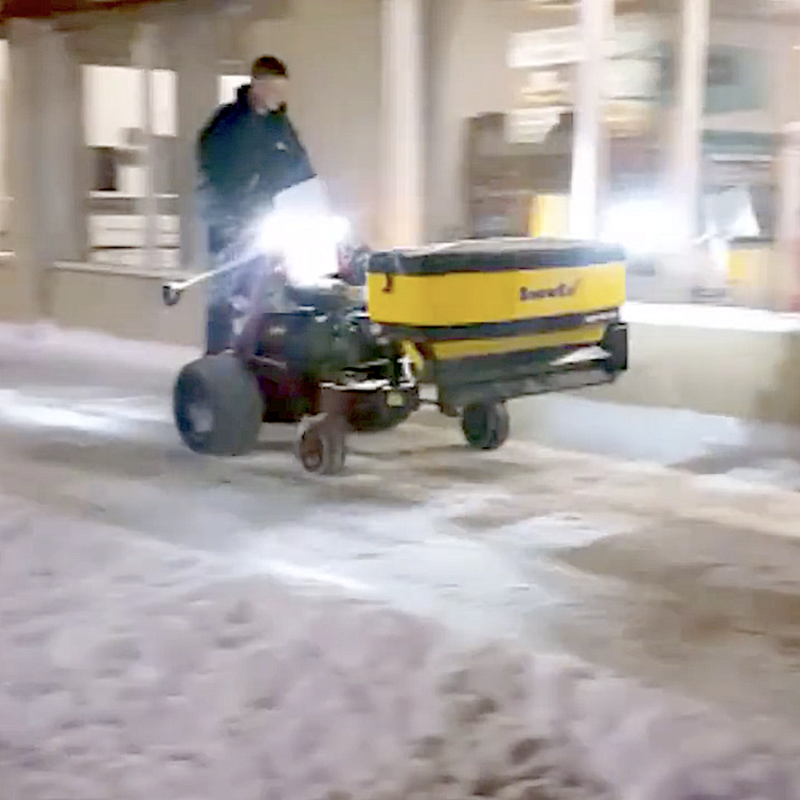 No matter day or night, DMT Property Maintenance is available to conduct snow and ice removal for commercial properties and businesses in Kenosha. ​In more than 20 years we have never missed an open up and are always at your service. 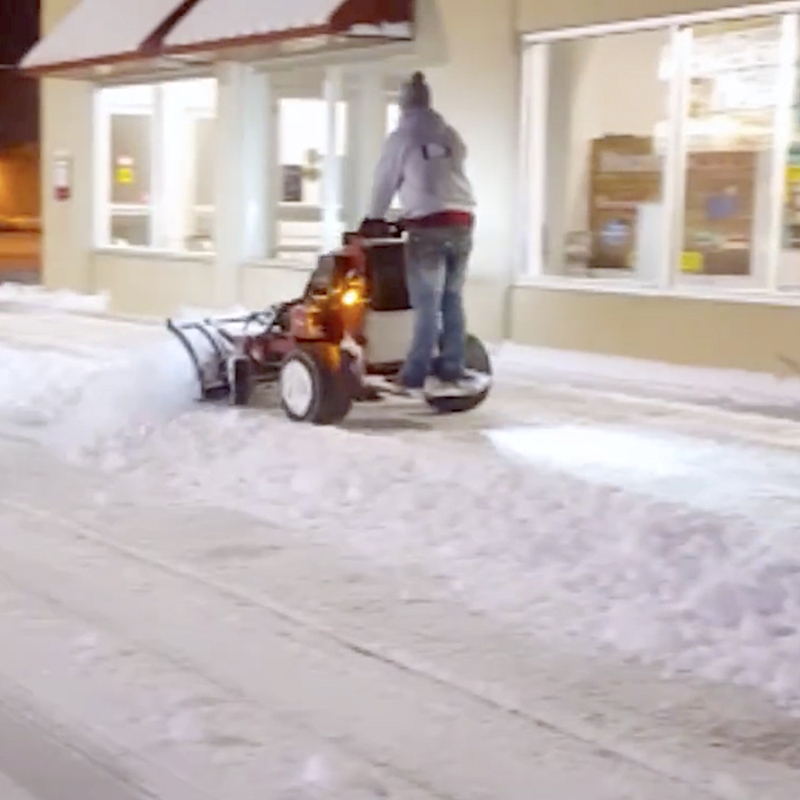 That’s why business owners use us for snow and ice removal in Kenosha, WI. Ice and snow can present dangerous obstacles that cause big problems for your commercial property and your business. When customers need to get through the door, employees need to start the morning’s work, and you need a site that functions without being hindered by snow and ice, you can call DMT Property Maintenance day or night for fast commercial snow and ice removal for Kenosha businesses. We can take on parking lots, walkways, sidewalks, and curbs in the quest to make your property ready for whatever the day will bring. At DMT Property Maintenance we form relationships with our customers and work with countless property managers and property management companies throughout Kenosha Wisconsin on everything from keeping lawns green and beautiful to removing overwhelming snow drifts and patches of slippery ice. Keeping residents, customers, employees, and visitors safe while maintaining excellent upkeep of commercial sites are aspects of property management that DMT Property Maintenance’s snow and ice management services can greatly help with. Our trustworthy teams are always prepared to take on commercial snow and ice removal for commercial properties in Kenosha. Whether you’re a commercial property manager or a business owner, we can handle ice and snow management for your commercial site with ease. To contact us use the form below or call 262-939-9368 today. During DMT's OVER 20 years OFFERING commercial snow and ice management, no business we've served has ever missed an open-up!